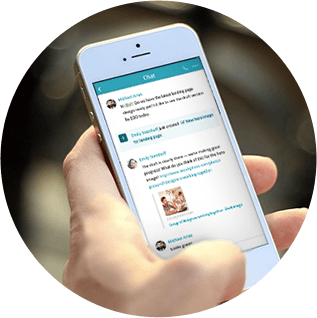 Finally, a collaboration platform made for what you do! Online project management software is a great match for large-scale projects with a singular focus — and a professional project manager at the helm. But if you’re like most teams, you focus on small and mid-size initiatives on an ongoing basis. Redbooth’s enterprise collaboration software works with your existing workflow and processes to reduce wasted time, increase productivity, and empowers your entire team to work more effectively. No enterprise collaboration software is complete without mobile access. With Redbooth’s apps for mobile collaboration, your work goes where you go. With the iPhone, Android, and iPad apps, you can view in-progress work on all of the projects and tasks you’re involved in, stay up-to-date in chat, and initiate one-click voice calls — all right from your Redbooth app. Having just one team member missing in action for even an hour or two can add unnecessary complications to a task or project. But when your team is spread over multiple offices in different locations, that complexity is amplified dramatically. With Redbooth, you can create shared virtual workspaces to unite your team. Collaborate in real time with built-in chat, HD video conferencing, screen sharing, conversations within tasks, and now one-click voice calling for Business-tier users — no matter where your team is located. Redbooth was built for managers and team members alike. Multi-level reporting allows managers and execs to easily access top-level data about performance, measure progress toward goals, and make accurate planning projections. 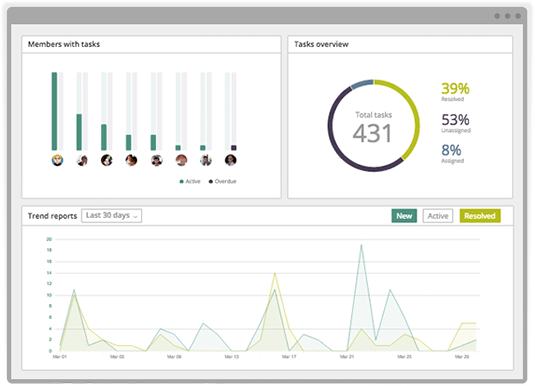 Team members can benchmark their progress on tasks and projects and share the workload with colleagues who have too much on their plate. Redbooth takes productivity to new levels by increasing transparency and accountability for everyone. Redbooth is project management reinvented. 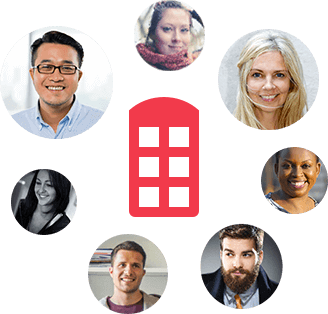 Start for free today and see why thousands of companies are using Redbooth as their enterprise collaboration solution.